To our millions of followers, boy oh boy do we have a treat for you today. Customer service is a major issue, especially for avid online shoppers like ourselves, so when we find a good deal, we like to share it. When we have a great customer service experience, we want to shout it from the rooftops! We love photos. You know this by now. And we took extra care in selecting the photographers for our wedding. 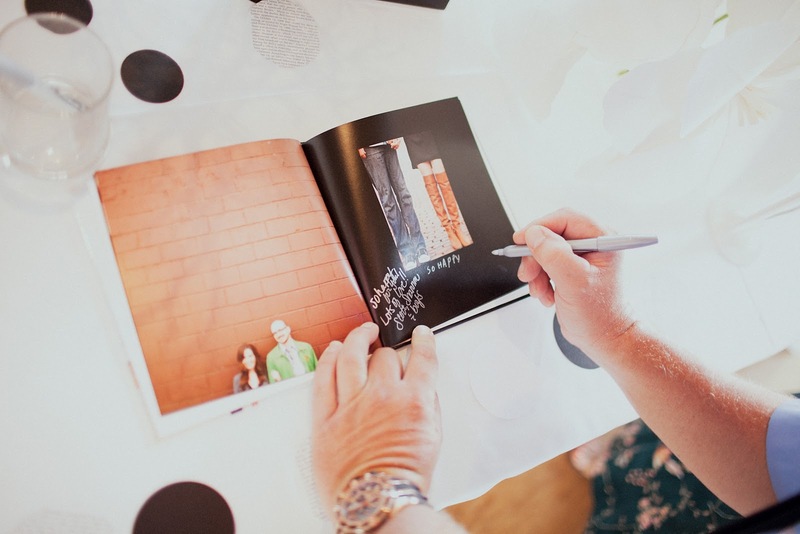 We loved our engagement photos so much that we made a photobook out of them and used it as our guest book for our friends and family to sign on our wedding day. We were so impressed with the quality of the book that we decided we would order more when our wedding photos came back. So, over the last week or so we have been working hard on a massive photo book to showcase over 700 pictures that document our wedding day. Getting everything into the book is pretty seamless with the use of the online editor tools through various photo sites. They are all pretty much the same but we opted to use Snapfish this time around because they had a small promotion going on and we had just purchased a few other photo gifts from them earlier in the month. There's always a catch. A medium sized book of 20 pages might run you around $40 according to the current promotion and how many bells and whistles you want. Not bad considering the quality and durability; we figured it was a no-brainer. It turns out however, that our a giant book with 150 pages runs quite a bit more. Like, a lot more. Considering we made a significant investment in the photos themselves we figured having a quality place to showcase them was money well spent. So we checked. Double checked. Checked again. And when everything looked great and just the way we wanted it, we hit the submit button at 11 pm last night and did a small happy dance of joy. And then this morning we checked email. Oh Snap and oh no you didn't Snapfish!!! 50% off all orders for the next 48 hours? Less than 7 hours after placing our giant order???? So we made a call. Actually Evan made the call. Can't hurt to try right? And without so much as a furrowed brow, they heard our plea and granted our wish come true. A retro-active 50% off our gi-nor-mous photo book. 50% off my friends! And so, in honor of this smooth move, we salute Snapfish and their customer service effort. And while we don't get anything in return for recommending them, we want to say thanks by at least sharing the news when someone does something cool like this. Yay for good customer service! 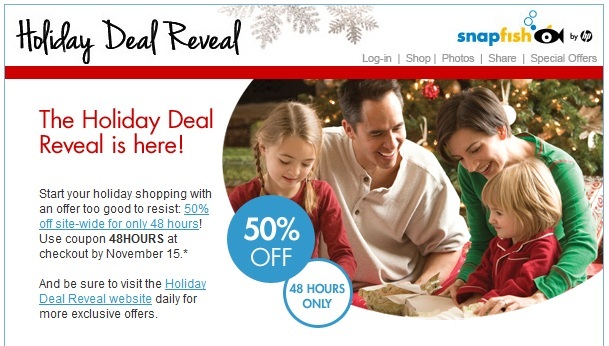 Yay for 50% off in the next 48 hours!